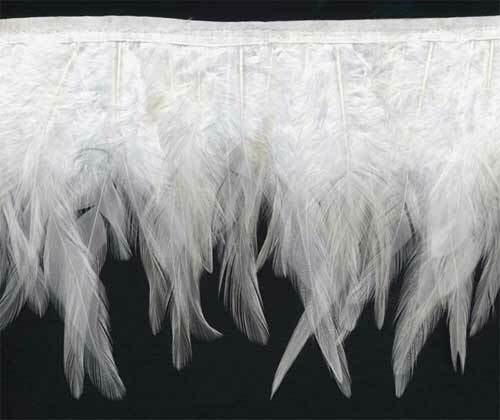 Touching this fabulous white feather trim is like touching the wings of an angel. Absolute perfection! The mixture of white and pale ivory feathers are 3" long to 4" long.